The Tropical Beach House is a very spacious, true beachfront property superbly located right on the beach at Thiranagama at the southern end of the popular Sri Lankan resort of Hikkaduwa, right in the middle of one of the most expansive and beautiful activity beaches in the South West of Sri Lanka. 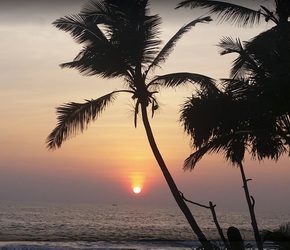 The beach house at Hikkaduwa provides you with an unfussy but very comfortable base from where you can enjoy everything that the area has to offer, such as surfing, diving, snorkelling, nature watching or just basking on the beach in Sri Lankan sunshine! Watch the last of the sun dip down into the Indian Ocean, whilst having a fresh seafood BBQ prepared in front of you. Maybe you'll be lucky enough to see the local fishermen hauling in their catch - they always appreciate a helping hand! 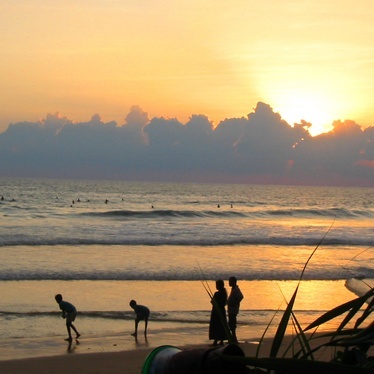 Later on, perhaps take a stroll along the beach and sample some Hikkaduwa nightlife. Enjoy all the advantages that come with renting your own beachfront holiday villa and take everything else at your own pace. Property you won't find anywhere else. 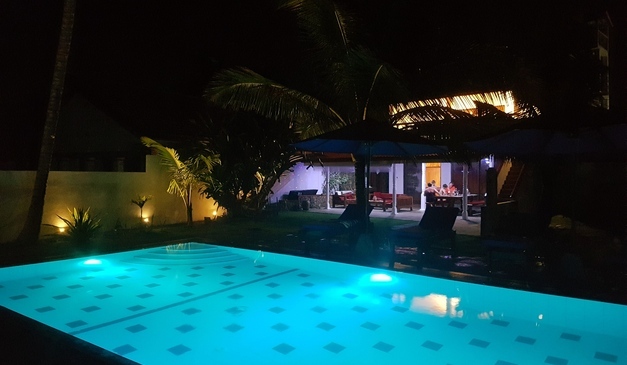 There are spacious private villa rentals in Hikkaduwa with direct beach access and other properties with nice big swimming pools but none with the wonderful combination of both being in such a prime location. 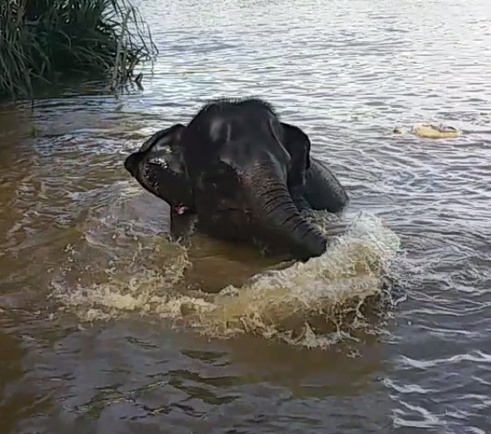 Although the property is rented on a self-catering basis, Mahinda will be contactable via a complimentary local mobile phone we provide for you and happily discuss and arrange local tours, massages and diving trips, etc. We can prepare a tasty seafood BBQ for your group or meals can be prepared and for you to eat on site. 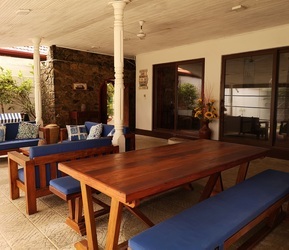 The Tropical Beach House can accommodate a party of up to 6 people in 3 bedrooms (with at least 2 couples). We provide bed linen and towels and can supply a cot, as well, if necessary. WiFi internet access is available throughout. The ground floor of the Tropical Beach House, has 2 air-conditioned en-suite bedrooms - 1 king-size double and 1 with twin beds - with a fully-appointed kitchen. The whole upper floor of the Tropical Beach House is a self-contained studio apartment, which features a beautiful ocean view from a large shaded balcony and comes complete with air-conditioning, a fully-equipped kitchenette, dining table, 4-poster bed and an en-suite bathroom with hot-water shower. Note: The Tropical Beach House complex is always rented as a whole property. I do not offer individual room rates. The island of Ceylon is a small universe; it contains as many variations of culture, scenery, and climate as some countries a dozen times its size.